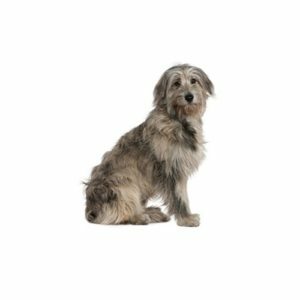 An Irish Wolfhound must be “of great size and commanding appearance.” He has a large, muscular greyhound-like shape, and he is the tallest of dogs, but not the heaviest. A superb athlete and an endurance runner, an old Irish proverb describes him perfectly: “Gentle when stroked, fierce when provoked.” The breed?۪s recognized colors are gray, brindle, red, black, pure white, fawn and others. Although now primarily a family companion, the Irish Wolfhound will still instinctively give chase to fleeing prey. His large size commands more room, more exercise, and a bigger car. The breed?۪s harsh, natural coat requires regular brushing. Hound Group; AKC recognized in 1897. Ideal size ranges from 30 to 34 inches tall at the shoulder. Irish elk/wolf hunter, family companion. Are you interested in purchasing a Irish Wolfhound?